The triangle had a popular revival within the last years: Design of all kind fell back on one of the most simple and clear geometric shapes. 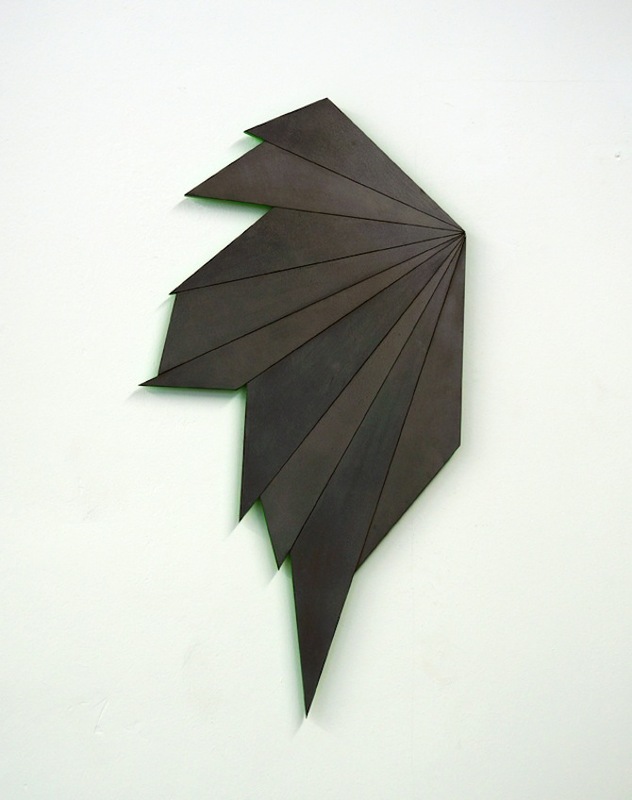 Not as minimalist as the square, but unardoned enough to count as a plain form, the triangle may have found a new home in the arts – far from any symbolic or religious values, that it used to be known for. 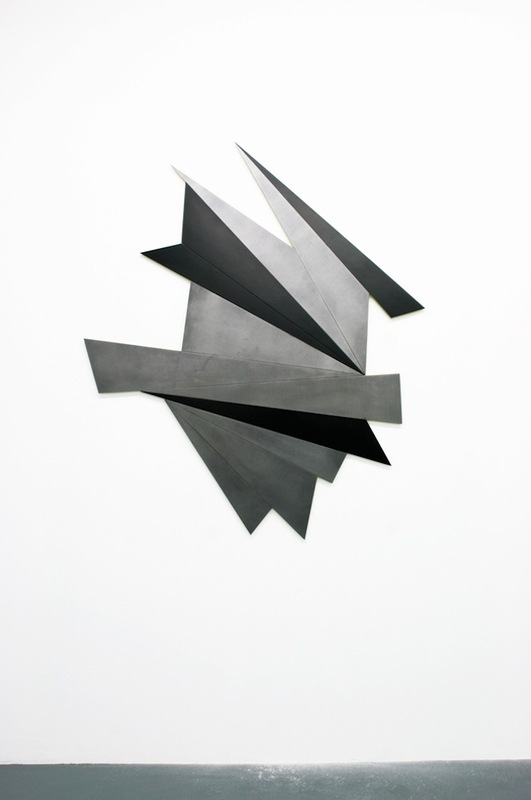 This development is currently prominent at Julia Bünnagel's solo show SUPER SONIC STRUCTURE at Galerie Sebastian Brandl in Cologne, in which the artist utilises the triangle's variable shape as a module for a series of rearrangements and ephemeral sculptures. 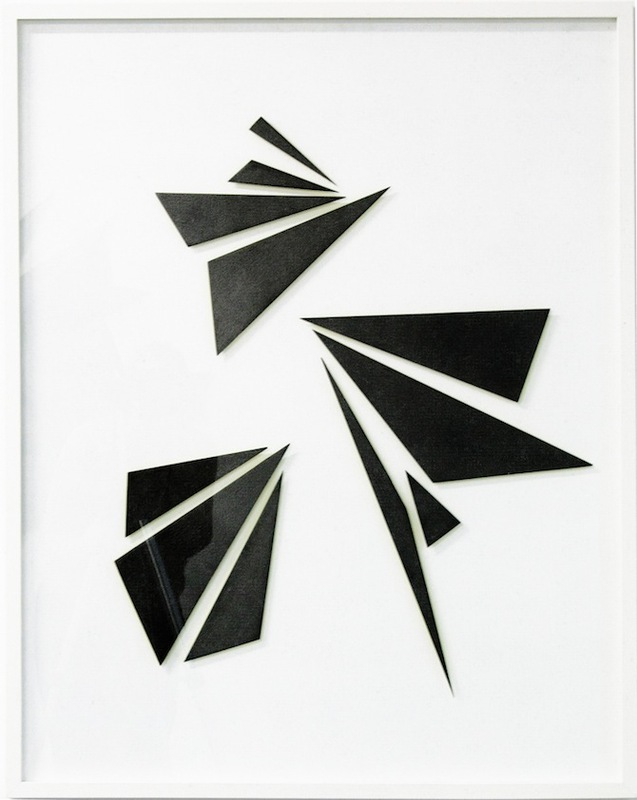 Bünnagel's artistic vocabulary is consistent – austere and edged, equilateral and oblique triangles reoccur. 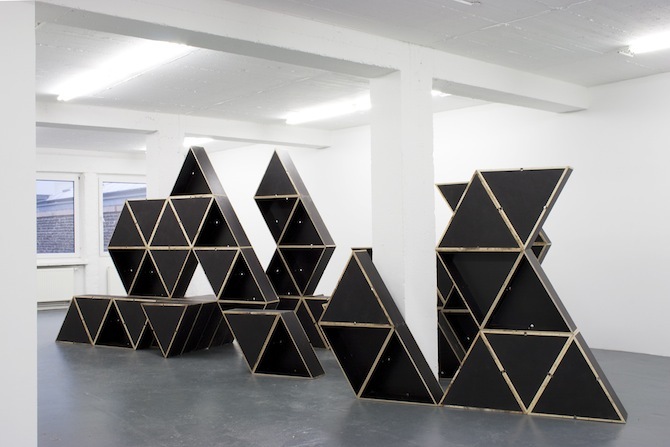 "Structure", the sculptural centre piece, was built from 58 equilateral triangle modules. Transforming over a course of three exhibition concepts in three months "Structure" slides and moves within the space, functioning as autonomous art piece that reacts on the given architecture (part one) as much as a display (part two) or a stage for performances (part three). As opposed to the kind of recontextualisation that we are used to (i.e. Duchamp's urinal), "Structure" will suddenly stop functioning as a sublime work of art and begin its career as a construction element. While there is an emphasis placed on the sustainability of the artistic material, neither this work-in-process does involve too much romanticism, nor do the two dimensional wooden wall-objects. Fittingly, the work "Neuromancer", a title that refers to William Gibson's 1980s cyberpunk novel, is a black lacquered wooden panel covered with neon-yellow carved lines. Its seemingly brutally executed composition is closely related to the aesthetics of an electronic spectrogram – showcasing a spectrum of frequencies. 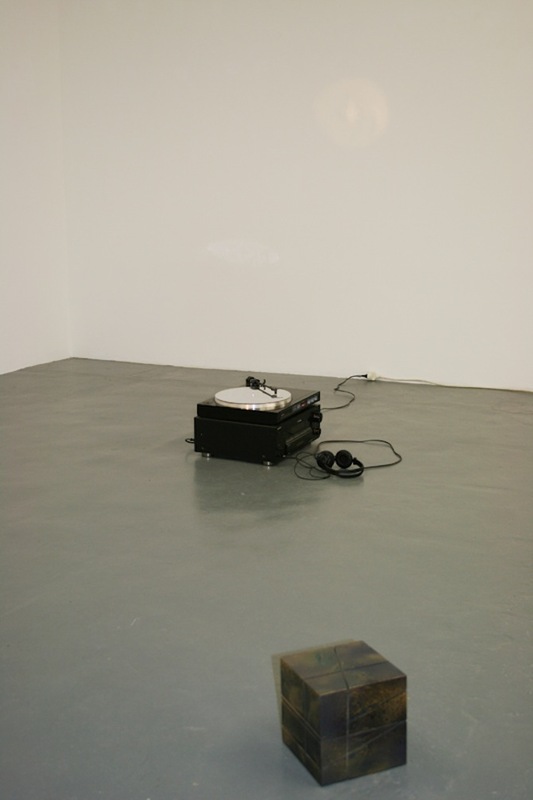 This unknown sonic source is represented through a record player, which suggests itself as the birthplace of the exhibition's formal language. Placed on the gallery's floor, it turns a disk covered with silver paper, causing a planetary shape that is reflected on the wall. Headphones are connected to the record player, but there is nothing but white noise whooshing out of them. There is a sense of an inception closely connected to each of the displayed objects – everything marks a beginning, as much as everything is indefinite. Some triangles remain random accumulations, others take shapes and transform into wings, cubes, structures. The white noise, rustling nervously through the record player's headphones, does not serve as background music. It is the soundtrack of SUPER SONIC STRUCTURE.